Breaking out in London is Enfant, an electronic music duo consisting of twin brothers Ali and Robin Owen. Gaining a reputation for their frenetic live shows, this year has seen them playing underground parties in Peckham to headlining club nights in London's East End. A tribute to their hedonistic dreams with a landscape of crystalline electronica breaking with an infectious tempo change into a deep bass driven groove, their new single, ‘Border Of Mexico’, follows the success of their first online release ‘Waking Up The Sun’ which brought them support from many key tastemaker blogs. "The track was inspired by a trip to Mexico and is really just about letting go, losing inhibitions and letting your passions take over," say the twins. "So many people come from the States to Mexico to party and do things they can't do in America and so it's about going to a place (not just a physical place) where you can ditch your shackles and be/do whatever it is you want." 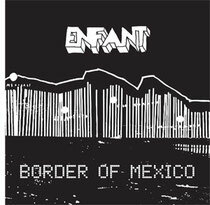 Enfant have already been compared to the likes of Empire Of The Sun, Pnau, Cut Copy, Midnight Juggernaughts and more but ultimately they bring their own style and writing to the electronic music scene.